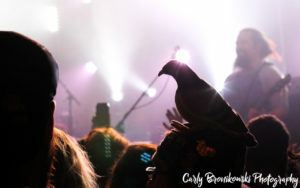 After roasting their tail feathers for the holidays in Baltimore, Pigeons Playing Ping Pong took the chilly adventure up to Cleveland for their sold-out, two-night run at the Beachland Ballroom on Friday, December 29 and Saturday, December 30. Good friends of the Pigeons boys, Youngstown band Jones for Revival got things off to a hip start on Friday night starting off with their bluesy-rock “West Side Willie,” before DeCapua started into the foot-tappin’ “Birthday Suit” and setting off on an easy-breezy vibe for the night. 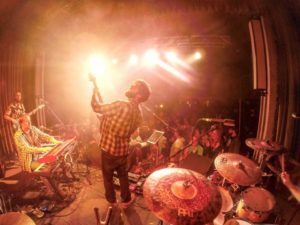 Continuing the energy with their beachy-jam, “Bottle of Booze,” the guys closed off their set with jam-heavy “Pocket Full of Change,” leaving us with some soulful key synths and funky strums from DeCapua. A quarter-past 10 p.m., Greg, Alex, Ben and Jeremy strode onstage ready to rock our little frozen feet. After sharing their experience with some water bottles exploding in their van on their way up here, the guys fluffed our chilly feathers starting into the playful “Penguins > Funkijam,” already knocking the ball out of the park with Jeremy’s hearty guitar solo and Ben’s deep-rooted bass that was extra edgy thanks to a new amp. 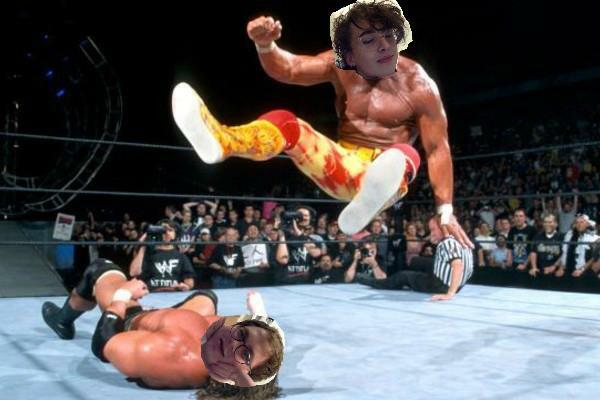 We were in for a real treat. Ormont lead the crowd into a harmonious “Happy Birthday” to sound technician Erich Miller to start off the second set and jumped right into the melodic “Havana.” They eased into the crowd-pleasing “Somethin’ For Ya” giving us a dose of Motown-funk as the easy-going “Cliffs” appeared as the crowd followed suit and sparked up their winter greenery. 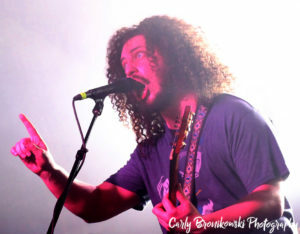 Ormont showed off his sweet and salty voice with a cover of Michael Jackson’s, “Don’t Stop ‘Til You Get Enough” before ending the night hard and heavy with “Avalanche,” taking the crowd on a crazy ride of deep guitar riffs and heavy head rolling. Spacejam > The Hop > F.U. 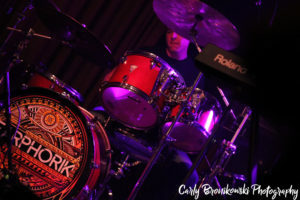 After we satisfied our sweet tooth with a trip to Mason’s Creamery and got some scoops of Flocky Road, the second night’s adventure was ignited by progressive-funk band Earphorik, who really jolted our adrenaline during their 40-minute opening set. These Indiana guys rocked our souls with some of their originals off their first two albums while also adding some funky renditions of Justin Timberlake and Vulfpeck covers. “Porcupine” was the spark of the first set before Ormont started into the lyrical “Fade Fast.” The crowd was stocked with ping-pong balls, and Ormont made us laugh when he caught the first of many thrown balls on stage during an incredible “Julia” sandwich with Disney-tease “Under The Sea” spread nice and smooth in the middle. After a wild takeoff of “Pop Off,” the guys kept up the space theme with Star Wars’ “Imperial March” smashed together in-between their fries added to the side “Drunk People.” The first set closed with the sing-a-long Pizazz track “Doc” as the Energizer Bunny, green alien, orange dinosaur, green kitty and purple horse action figures that accompanied the stage between Ormont and Carrey took a set break. Right after a playful “Sail On,” the crowd was given a triple-layer “Upfunk” cake, with added flavor thanks to Zelda’s “Hyrule Castle” and a powerful drum showcase brought out by Petropulos. A transition to “Su Casa” inside a pleasurable “Condenser” mashup allowed the crowd to catch their breath and time seemed to be wrapped around the band’s fingers. An added dash of funk topped off the night with “Fun In Funk” as the the warm and fuzzy “Kiwi” prevailed as the encore to close out the last night in Cleveland and the guys bowed to the Land. The last day of 2017 saw some sick beats from electronic producer Flamingosis as Covington, KY read a temperature of a solid 18 degrees. 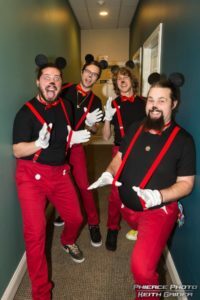 Ready to end 2017 best dressed, the last day of the year was nothing short of magical as Greg, Ben, Jeremy and Alex strode onstage in matching Mickey Mouse outfits, looking sharp as cheddar cheese in red suspenders and black mouse ears. 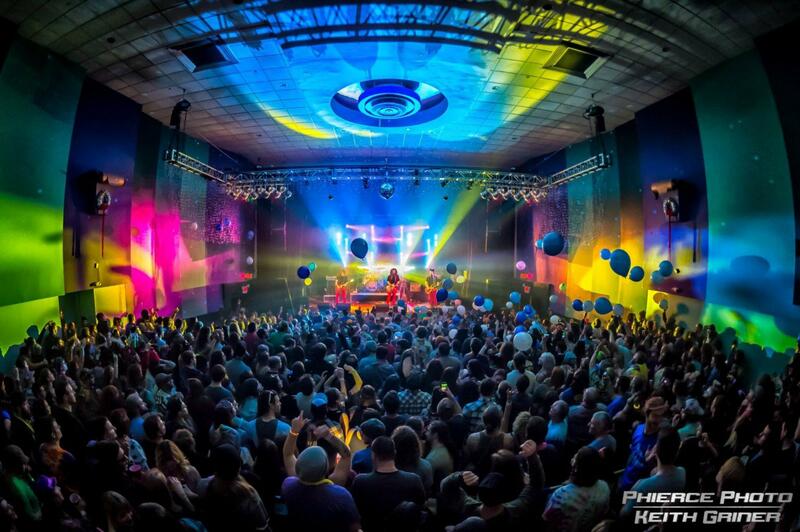 Pigeons playing to a sold-out crowd at Madison Theatre on New Year’s Eve 2017. Phierce Photo by Keith G.
The mighty second set jump-started with “Too Long” from the band’s most recent album Pizazz as the clock was just minutes away from striking midnight. 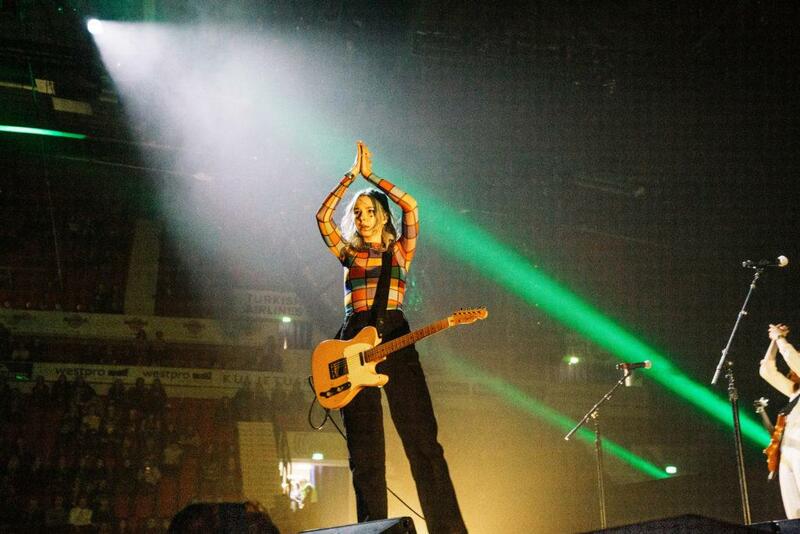 They slipped into the deep-end with “Poseidon” as Ormont counted down from ten, and as time leaped to 2018, the guys started into “Magic Carpet Ride” to transcend the light-hearted feeling on the crowd. Greg, Gator, Jeremy and Ben dressed all snazzy for the DISNYE show. Phierce Photo by Keith G.
The original 1967 Jungle Book’s “I Wanna Be Like You” and the “Bare Necessities” were positioned together to create a jazzy double-decker with a toasted “Horizon” to mark it complete. One of the band’s newest songs, “Dawn A New Day” gained its first appearance for 2018 before the heavy “Schwanthem” stood as the holder of Pochahontos’ “Colors of the Wind.” The outrageous “The Liquid” was deemed the New Year’s Eve closer that tied the whole band together as one and characterized their best show energy onstage. You can listen and download the whole DISNYE 2017 live set on Bandcamp! 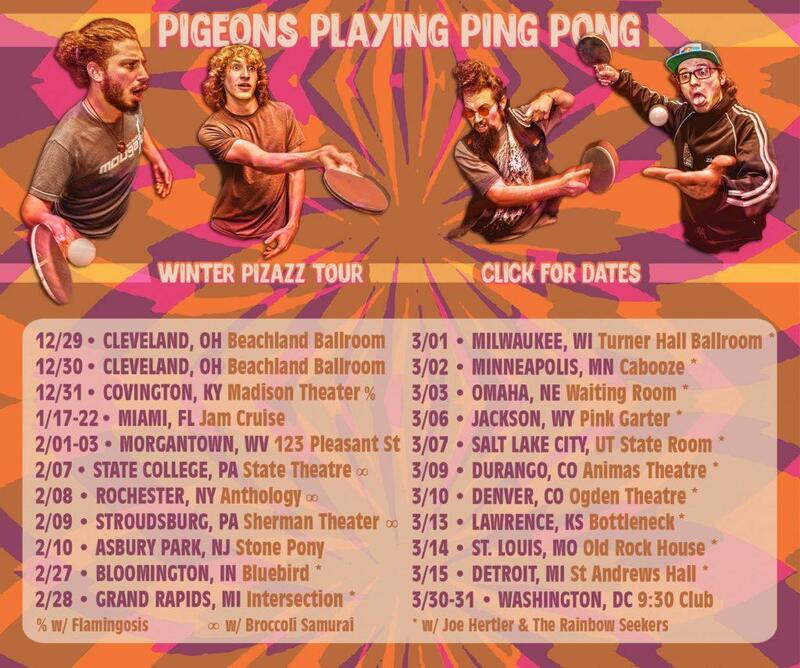 Pigeons Playing Ping Pong have seen their fan-base grow and had one, if not the best year musically together as a band. 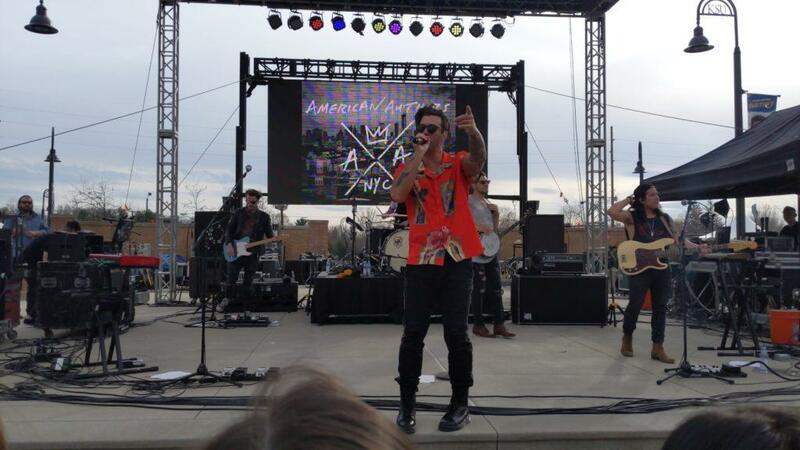 Taking this next month to catch their breath after sailing on ocean waters at Jam Cruise, the guys will embark on their winter tour starting with a three-night run in Morgantown, West Virginia on Feb. 1. The new year of 2018 shows an even sharper peak for these guys to continue knocking our little bobbling pigeon heads and soaring their fan-base across the country.